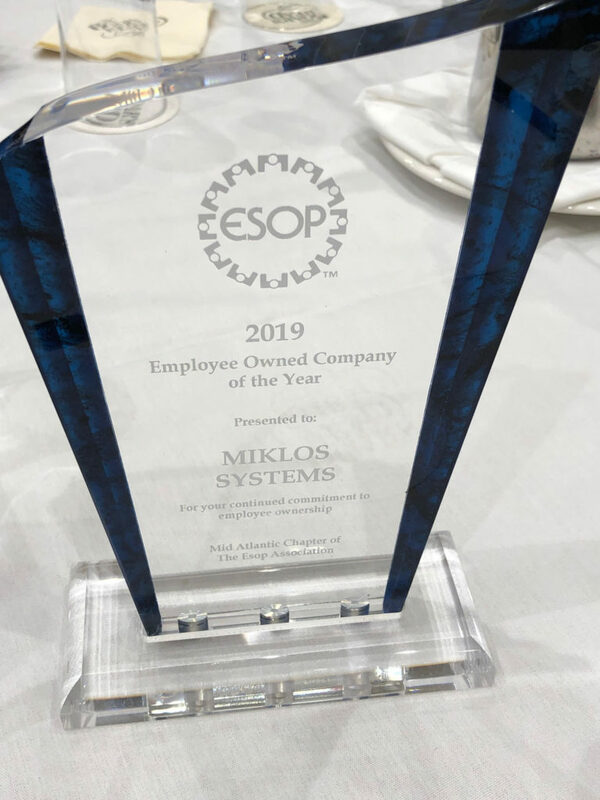 MSI Wins 2019 Mid-Atlantic ESOP Company of the Year! 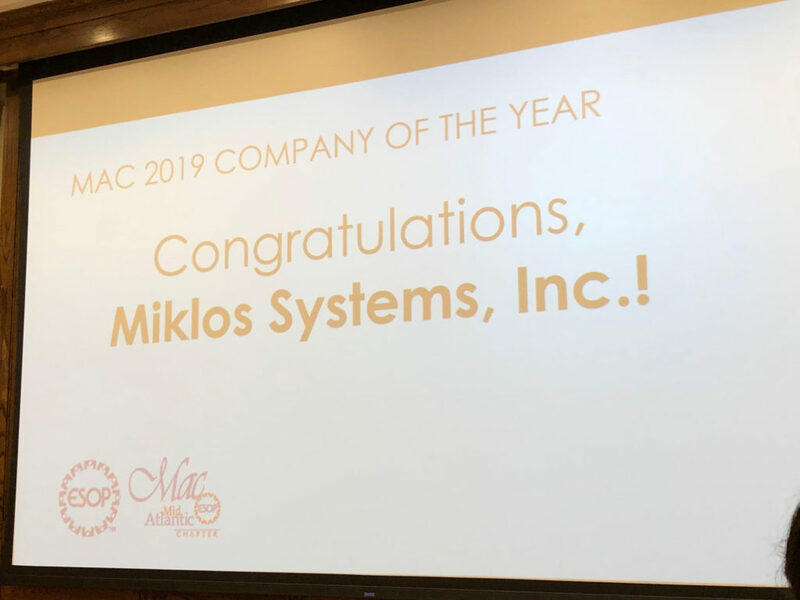 - Miklos Systems, Inc.
02 Apr MSI Wins 2019 Mid-Atlantic ESOP Company of the Year! Congratulations to MSI and our amazing ESOP team! On March 8, 2019, the Employee Ownership Committee (EOC) attended the Spring Conference for the Mid-Atlantic Chapter of the ESOP Association. We were thrilled to learn that we were awarded the Mid-Atlantic Chapter ESOP Company of Year Award. MSI will also be nominated for the National ESOP Company of the Year, a competition held later this year. We are thrilled to have received this honor and are so grateful for all of the work our Employee Ownership Committee puts in to our company. We are also grateful to all of our employee-owners for the hard work, commitment, and dedication they show every day. Congratulations!